Open only in the fall for apple, pumpkin and other upick items. Corn maze, petting zoo, museum, picnic area and other activities. Our farm is situated on rural agricultural land, so we have plenty of room to accommodate groups of all sizes. Whether its a birthday party, church outing or corporate get together - we would be happy to work with you to ensure your day runs smoothly. Please call ahead so that we can ensure we give you any special assistance you may need. Buses are welcome and we have plenty of room for parking and turning - again please call in advance. For group information or bookings - call (902) 542-1999 - please leave a message and we will be return your call as soon as possible. 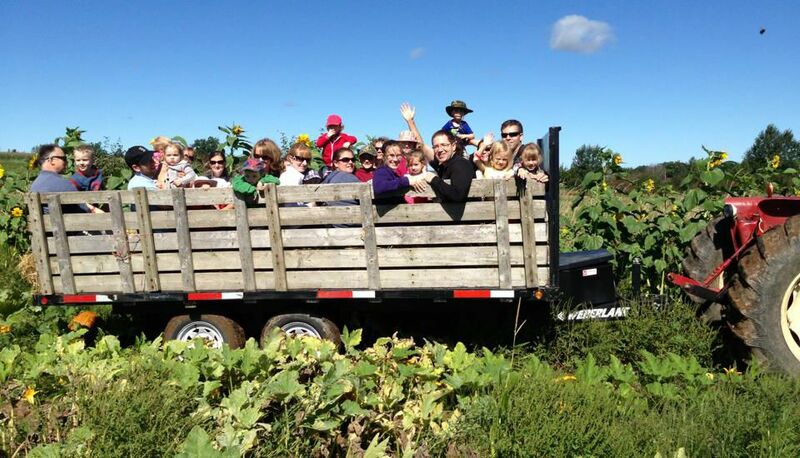 We are proud to have school group visit the farm and have arranged special pricing. The day usually consists of apple picking, petting zoo, farm & museum tour. Enjoy your own lunch in the picnic area or inside the barn during inclement weather . Dates must be reserved in advance - so please email now as they book up quickly. Hours Open daily from 9:00 a.m. to 5:30 p.m.